However, with the right financial moves, you can keep your finances on the right track, even in a rough economy. It does not take to be a financial expert to know that it's very difficult to earn and save dollars in a sluggish economy. The rising cost of the daily necessities coupled with the lack of industrial growth and poor employment opportunities make it difficult for you to maintain your financial house. However, with the right financial moves, you can keep your finances on the right track, even in a rough economy. Read along to know about 5 financial moves you can make in a tough economy to protect your financial house. 1. Purchase a house: If you have a decent credit score, then you can purchase a property through a FHA loan. You can rent out the total property or a portion of it to students. Make sure you purchase the property in a good location. This will help you get a good rent on your house. Moreover, there won't be any dearth of tenants for your house. The best part of being a landlord is that you can earn some extra dollars every month. You won't have to do anything. If you get laid off by any chance, then you won't fall short of cash. You'll have a steady source of income. 2. Change your spending habits: You need to take a stern look at your spending habits during a rough economic period. You'll have to curtail your expenditures in order to save money. Other than that, if you're earning less at your present job, then look for a new one. If you're lucky enough to grab a good job and get a fat paycheck, then use it to contribute to the retirement savings account. 3. Sell your house and stocks: If you feel that the housing market is going to crash in the coming days, then you can sell your house. The condition of the current housing market is not good. As such, the price of the houses may fall in future. To avoid such a predicament, you can sell your house early and get a favorable deal. The same thing applies to stock market also. You can use the sale proceeds to pay off your debts. 4. Revamp your old car: You may have got bored of using your old car for several years. You may be secretly wishing to buy a brand new car in this year. However, a brand new car will cost you a lot of money. So, you can upgrade your old car instead of buying a new one. You can change some parts of the car or apply a new paint to it. This will help to increase the mileage and efficiency of the car without breaking your bank. 5. 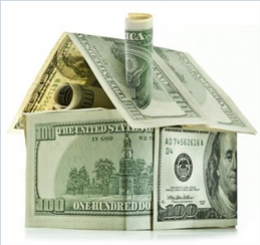 Opt for refinancing: You can refinance your existing 30-year FRM to a 15-year FRM. This will help you save on the interests in the long run. You'll also be able to get rid of mortgage sooner. Finally, pay off your debts as quickly as possible. Bargain with the creditors in order to reduce the outstanding balance on your credit cards and utility bills. Once your clear your debts, you can give your full attention towards savings. Try to save money for the rainy days. Use a personal budget planner and notice the areas where you can potentially save money. Page loaded in 0.142 seconds.